A true multi-purpose barbecue tool that can flip rotate pick up and turn all sizes of food on the grill. The grill-a-tong combines the advantages of both grill tongs and turners and includes a built-in bottle opener. 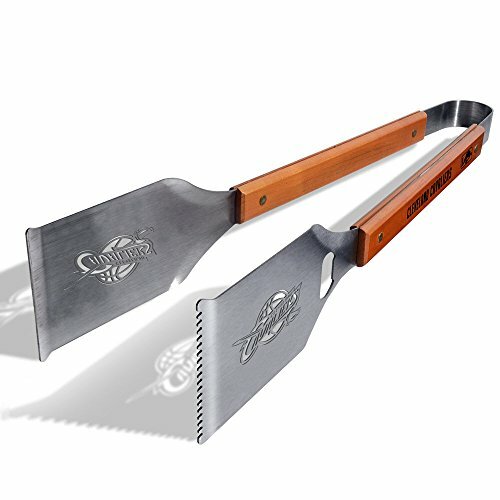 Cleveland Cavaliers is stamped on the brass-riveted hard maple handles while the Cleveland Cavaliers logo is laser cut through the heavy-duty Stainless Steel blades. This is the gift that leads the list in tailgating accessories. Dimensions: 18 3/8" x 3 1/8"